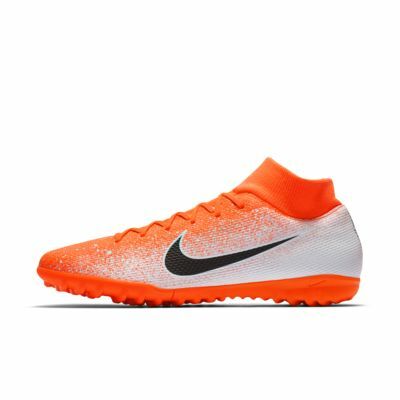 The knit construction and Dynamic Fit collar of the Nike SuperflyX 6 Academy TF wraps your foot for a second-skin-like fit straight out of the box. The rubber outsole provides propulsive traction on artificial-turf surfaces. Fabric and synthetic upper wraps the foot for a second-skin-like feel. Turf (TF) outsole has rubber studs for traction on synthetic surfaces.